We are all aware that television does not always best describe the world around, including sports. For those who are not aware of what wrestling is or the details about its long-standing history, it’s best to forget the inaccurate description provided by shows looking for a quick audience. In fact, wrestling is a sport that creates athletes rather than actors – with professionals spending numerous amounts of hours training and building up their bodies, stamina, and mental strength. For these reasons and more, the following article will shed some light on this high-demand sport, including what the competition involves and how it has gotten to where it is today. There are multiple types of wrestling methods that could be done, including the well-known sumo wrestling, pro wrestling, WWF wrestling, or even Olympic wrestling. All of these have had their merits in the history of this imposing sport. 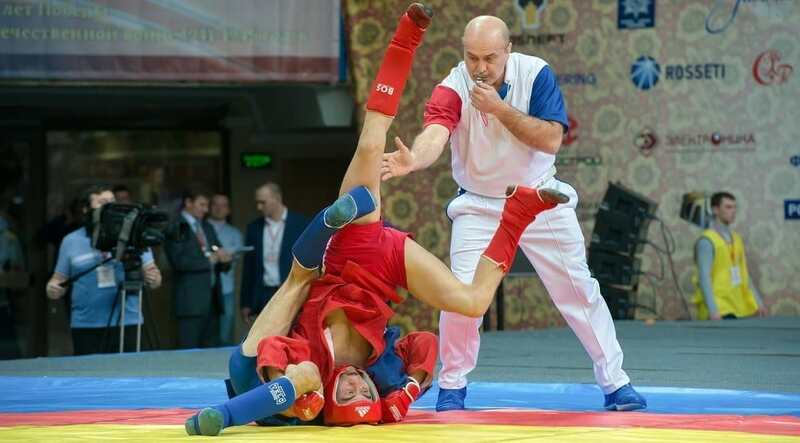 The term ‘wrestling’ is used to describe a hand-to-hand sport that involves multiple fighting techniques – including throws and takedowns, pinning your opponent down, joint locks, tilts, and other holds. If this is news to you, we don’t blame you – since nowadays the sport is viewed as purely for entertainment purposes and even has a theatrical element to it. When it comes to the scoring system, wrestling involves the physical competition between two adversaries who are continually attempting to gain the higher ground for added control. Rules relating to the sport may vary, as there are both traditional, historical, and more modern styles that are incorporated. That’s what makes wrestling utterly unique from other games. In fact, many techniques used in bouts have been incorporated into martial arts and even military training. 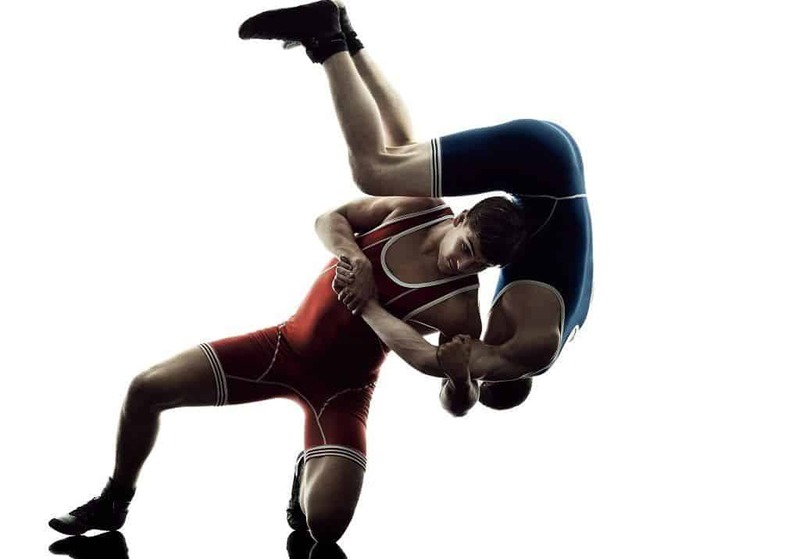 This aspect makes you understand that wrestling does not only involve physical strength – where the focus is solely on the individual fighting on the durable wrestling mats – but instead on the combination of stamina, power and imposing fighting techniques. Additionally, wrestling involves mental determination, strength and confidence – not meaning to undermine the role of courage, training and leadership. These factors can be considered natural when it comes to wrestling as there are no nets to stop your fall and no team element to support you. In other words, it’s you, your opponent and your top tumbling mats as well as the need to know everything about gymnastics, balance and coordination. It may be hard to believe that the first mention of wrestling goes back to Sumerian times, almost 5000 years ago. The competition, often accompanied by dramatic music which completed the atmosphere, was written about in the Epic of Gilgamesh. Continuing on the path of history, the sport was also traced back to Ancient Egypt, where numerous drawings showed the importance and respect given to wrestling. The Greeks continued this tradition, integrating the sport into both art and science. Even then, wrestling was considered almost sacred, with competitors being viewed as athletes who strategically trained and improved their physical stamina. In many cases, athletes were wrestling naked – their bodies protected by a rare combination of olive oil and sand. 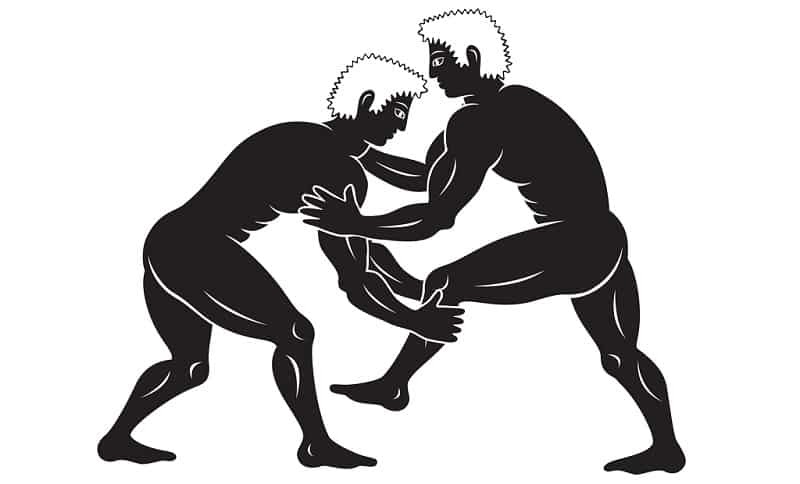 According to ancient writings, fighting techniques were firmly similar to freestyle wrestling, with the proclaimed winner needing to throw his opponent on the floor. Already in 708 B.C., wrestling was introduced in the Ancient Olympic Games, and its infamous display of courage and skill became well-known all around the world. Making its presence known around 1830 in France, professional wrestling was a sport for middle-class people who were showcasing their talent – often by traveling around the country for months on end. This period also marks the creation of a new rule – flat hand wrestling, in which athletes would not execute holds below the waist. During the St. Louis Games in 1904, freestyle wrestling gained popularity in America, and it wasn’t until 1908 – which marked the Olympic Games in London – that other wrestling styles became a part of what we now know of the sport. The later part of the 19th century also marked the complete integration of wrestling as a modern sport, not only as freestyle wrestling, but also as “Greco-Roman” wrestling – which followed a combination of continental and British traditions and rules. For example, in 1928, wrestler Ibrahim Mustafa became the first African wrestler to have won a medal in an Olympic competition. Shohachi Ishii – a Japanese professional wrestler – quickly followed, winning the first Asian medal at the 1952 Helsinki Olympic Games. Many legends were born afterward and these days, numerous youth clubs and training centers have developed all around the world. In some cases – for example, Arkansas – wrestling is a part of high school competitions that looks to develop on the concept of competitive teams. It should also be noted that in 2004, female wrestling was finally recognized a viable sport in the Olympic program, marking a new era of acknowledgment that females are also capable and able to compete professionally – this recognition happened during the Athens Games. Wrestling is a sport that’s seen around the world in all types of forms, but no matter where you go, usually the sport is all about subduing your opponent without punching or kicking. Instead, opponents are defeated using a chokehold, pushing them out of the wrestling ring, or by pinning them. However, there are a few different types of wrestling that have distinct practices, so let’s take a look at each one. This type of wrestling is actually in the Summer Olympics, along with Freestyle Wrestling. Generally, this is considered amateur wrestling rather than professional wrestling such as Sumo. Greco-Roman wrestling takes place on a matted area within a large circle and is usually quite popular. A Greco-Roman wrestler cannot perform attacks on the legs. Instead, they must grab the opponent around the waist or above to subdue them. Points will be scored by performing various techniques that show technical superiority. To win, one must have the highest point value at the end of the bout. Of course, one can also win the bout by throwing the opponent to the mat and pinning the shoulders down—this is called a fall and will automatically win someone the match. A wrestler can also win automatically if their opponent is injured and cannot continue and additionally, can gain points by pushing their opponent out of the circle. This isn’t actually the goal of Greco-Roman wrestling, though, but it can still help to earn the points needed to win. For Greco-Roman wrestling, you’ll see that a “singlet” is worn – this is a wrestling garment that is one whole piece. It is made of spandex. It’s meant to provide a tight but comfortable fit for the wrestler, making it much more difficult for an opponent to use anything on the wrestler as leverage. Special shoes are also worn to increase mobility and flexibility, providing maximum comfort and movement, while the rubber soles prevent slipping on the mat. Each Greco-Roman wrestler has something called a “bloodrag,” which is basically just a handkerchief. If there’s any bleeding, the wrestler can use the cloth to stop bleeding or clean up blood on the mat. Headgear is also worn around the ears for protection and can be omitted at the risk of the fighter. Without headgear, many wrestlers can be subject to what’s known as cauliflower ear. Much of wrestling has to do with keeping a hold of the opponent, meaning that the wrestler must be trained in every part of the body. There are different parts of the body used, so the strength and power of the hips are improved via workouts, along with strength in the lower back, abs, upper back, and forearms. This is the other form of wrestling within the Olympics – which may look similar – but which sports some very distinct differences. Most often, these types of wrestlers have more options available to them than their Greco-Roman counterparts. Freestyle wrestlers are allowed to follow through with takedowns by attacking the opponent’s legs and are also able to grab opponents below the waist – these are moves that are not allowed in Greco-Roman wrestling. These wrestlers are also able to throw opponents down before applying their hold and do not have to stay in contact like Greco-Roman wrestlers do. Within freestyle wrestling, you’ll see the singlet again, along with the special pair of shoes in order to stop slippage on the mat. For the most part, it’s only the techniques that are different from Greco-Roman wrestling. Once again, wrestlers will have the bloodrag carried in their singlet to help clean up any blood or sweat. And just like Greco-Roman wrestling, headgear is worn as well to prevent possibilities of cauliflower ear. Training and practice is also very similar to Greco-Roman wrestling, but due to the inclusion of the legs, there’s a greater focus on conditioning wrestlers to take advantage of them, as well. Endurance training is often the most popular form for this type of wrestling. Sumo wrestling, as you may know, originated in Japan and is a form of professional wrestling that’s extremely popular. It takes place in a ring rather than on just a mat, with sumo wrestlers who are usually very big and weigh as much as 300 pounds. In sumo wrestling, the goal is to drive the opponent out of the ring. One can also force an opponent to the ground with the use of any part of the body other than the soles of the feet. In public, they are expected to wear their hair like this and wear a traditional Japanese dress. The outfit worn during bouts is the ‘Mawashi,’ or loincloth – they are worn during both training and competition and are very thick. Unlike other wrestlers, Sumo wrestlers do not have any tools with them besides their Mawashi, which they can wear in a specific way to make it more difficult for their opponents to grab onto. They can even splash a little water on it to prevent their opponents from getting a grip on it – it all depends on their strategy. Sumo wrestlers train a lot to gain both the proper stature and the proper strength for the sport. They’re found at schools called stables, where they’ll live, eat and sleep. While there, they’ll eat a diet of a calorie-rich stew known as ‘chankonabe’ in order to develop their size. 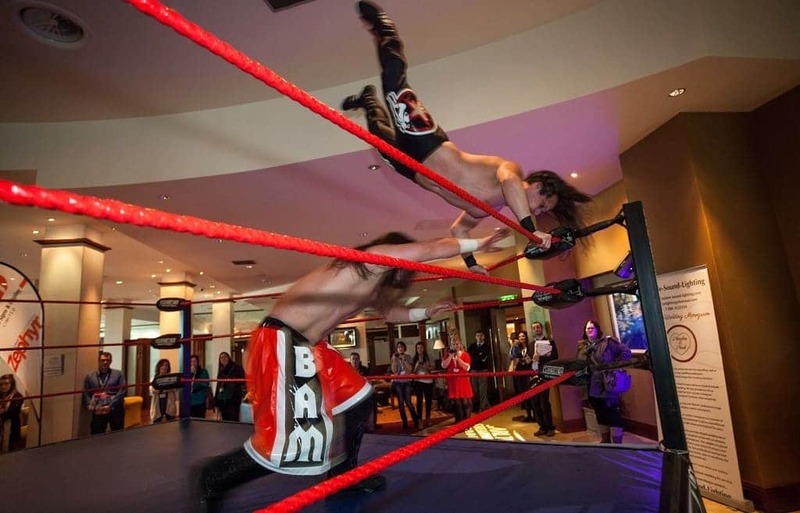 Professional wrestling, also known as wrestling for entertainment, is the most well-known form of wrestling. This is where you’ll see many common household names, with people following through with choreographed fights rather than fighting it out for real. These wrestlers will also have specific personalities, encouraging the crowd to cheer on one over the other. Believe it or not, there is no governing authority that creates rules, but there are general standards. Basically, the wrestlers stand on either side of the ring and are able to win by pinning their opponent. They can also force their opponent to submit, or push them out of the ring for too long. Knocking an opponent out is also an acceptable form of victory. After a set number of falls, a match can be won. The outfit of the wrestler usually depends on the personality the wrestler puts on. For example, they might wear a mask or have some sort of gimmick that makes them more or less likable. For the most part, though, you’ll see various forms of outfits for professional wrestlers. Sometimes, improvised tools are allowed to be used by these wrestlers – to varying degrees in certain matches. Training and practicing is often done in regiments, as you may expect. It’s very focused on building up physical strength and requires a specific schedule often created to help with arm strength over other areas. Wrestling should be viewed as the oldest sport in recorded history, as the humble beginnings of this competition date back to Sumerian times. Even though these days, most people recognize wrestling for its entertainment purposes, there are certain aspects that real fans will take into consideration. In fact, there is no denying that wrestling is an outstanding combination of fighting skills, techniques, training, balance, leadership, and many more factors. Taking all this into consideration, along with its imposing evolution, wrestling should be given the respect it deserves – both as part of our past and our future. For this reason, there is little surprise that many clubs are spawning around the world, keeping the tradition of wrestling alive both for the present and the upcoming generations. Photos from: mediterranean / depositphotos.com, razvanchirnoaga / depositphotos.com, rihardzz / depositphotos.com, kvasay / depositphotos.com, seiksoon / depositphotos.com, zhukovsky / depositphotos.com, kostya6969 / depositphotos.com, STYLEPICS / depositphotos.com, bluehand / depositphotos.com, ericbvd / depositphotos.com.